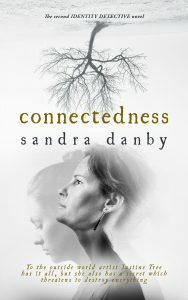 A few weeks ago, author Sandra Danby contributed a guest post to my Art in Fiction series. I liked what she had to say, and so I invited her back to talk about her novel Connectedness. Sandra is a proud Yorkshire woman, tennis nut and tea drinker. She believes a walk on the beach will cure most ills. 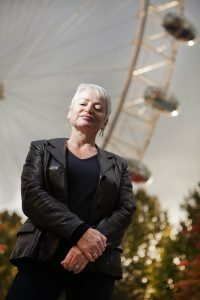 Unlike Rose Haldane, the identity detective in her two novels, Ignoring GravityandConnectedness, Sandra is not adopted. Q: Welcome back, Sandra. What is it about your novel that you feel makes it particularly suitable for book clubs? Any novel that makes you think ‘what would I have done?’, which you continue to think about after you’ve finished it, is suitable for book club discussion. Many people will identify with Justine’s position at the beginning of Connectedness when, after her mother’s funeral, she wonders if she should have done things differently, spoken of the things she kept secret, been more open and less protective of her parents. Many people have an experience in their teens or twenties which colours the rest of their lives and makes them into a mature adult. 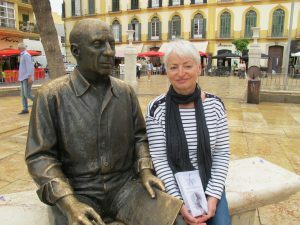 Arguably Justine would not be a globally successful artist without her experience in Málaga in the Eighties. My novels are about family and the sense of belonging, not belonging, or longing to belong, and that is something everyone can identify with. Q: Was the seed of your story an idea or an image? 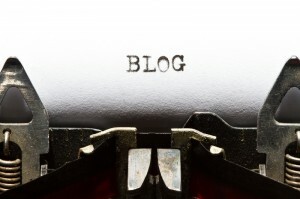 In other words, are you a visual or a conceptual writer? Connectedness started with the idea of Justine, an artist whose personal self and public image were miles apart. I knew adoption played a role, as that is the core subject of my series, and I knew this book would be about a birth mother and that Justine would be that mother. So that makes me a conceptual writer, I guess. Except the development of Justine’s character was inspired by a photograph. Actually, it’s a picture of Joan Jett, rock star and guitarist of The Runaways, one of Justine’s favourite bands. Q: Mary Karr wrote: “You’ll need both sides of yourself—the beautiful and the beastly—to hold a reader’s attention.” I assume you’d agree. Every one of us is made up of shades of black, white and grey and every fictional character must reflect this or seem two-dimensional. To do this, a writer has to dig deep and answer the ‘what if?’ question honestly, to go to the places where you normally don’t go to, to answer truthfully ‘if I were her, would I lie?’ As I wrote more of Justine I grew to like and dislike her. In giving away her daughter she does a thing I could not contemplate doing myself, so I had to imagine it, put myself into her head, and then decide how she would react after making her decision. At times I lost patience with her but it was crucial that she remain true to herself. Q: ‘Without chaos, there’s very little story to tell.’ What is the source of chaos in your story? In a quick summary; Justine in her fifties feels free following the death of her mother to search for the daughter she gave up for adoption when she was an art student. The conundrum comes as Justine realises that in order to find Jenni, she must risk her art career and be proved a liar. Her success and fame as an artist has for almost three decades been based on the emotional truth of her creative instinct; that is her public image, except she has lied, inventing emotions and making her art appear to be impulsive and transparent. In truth it is opaque, a shield behind which she hides the truth of her lost daughter, her guilt, her shame. If/when she finds her daughter, she knows the story will be splashed across the media. So, is the price of her career worth finding a daughter who may resent or even hate her for abandoning her? Throughout the course of the novel, Justine waits for confirmation of her acceptance as a Royal Academician, the top acknowledgement for an artist and a great honour, nominated by her fellow artists and academicians at the Royal Academy of Arts in London. Some of the academicians think she is superficial, emotionally incontinent, over-emotional and are looking for an excuse to reject her nomination. Connectedness is the second book in the Identity Detective series, but can be read as a standalone novel. Q: Maggie O’Farrell says, ‘The way I see it, the past and the present are not separate. The present is the past amended, particularly in the way we apprehend it, our memories and nuances.’ It that something that you like to explore in the timeline of your novel? The nature of memory is fascinating; how our sub-conscious manipulates our memory, editing and tweaking things, forgetting uncomfortable truths, rounding out the sharp edges, adding a positive twist here and there. In Connectedness, identity detective Rose Haldane struggles with her client Justine on two levels. It is her first job as an identity detective and she is finding her way; secondly she is unsure if Justine is telling the truth. Not lying exactly; rather not telling the story in its entirety. A memory is after all only one person’s impression; someone else standing side-by-side at the same event may have a completely different memory, because we are all individuals with our own interpretations, hang-ups, emotions and judgements. Q: Why did you decide to switch to different characters’ points of view? In Ignoring Gravity, the first ‘Identity Detective’ book, I told the story in clearly delineated sections according to character. Many readers said they preferred this approach so they knew who was thinking. When writing Connectedness, however, I wanted to deepen the emotions at key moments, so I experimented by replicating a style used in a novel I love, Moon Tiger by Penelope Lively. In key dramatic scenes, she switches viewpoint from paragraph to paragraph; this creates an almost theatrical three-dimensional effect where an action or conversation is seen from multiple sides as characters observe, listen and react in different ways so enhancing the reader’s understanding. The characters, meanwhile, only know their own thoughts, which places the reader at an advantage. I was careful to make sure the shift of viewpoint was clearly marked by a two-line space. As a reader I dislike novels where viewpoint switches carelessly mid paragraph. Q: Do you feel under pressure to make your main characters likable? Undoubtedly, likeable pink fluffy characters sell more books than realistic ones. I write the novels I would like to read and because I am an indie author I write as I wish without the dictates of publisher or agent. That doesn’t mean that I don’t want to write a novel that readers want to read but when I read reviews of other novels which say ‘I couldn’t connect with this book because I didn’t like so and so’ I find it depressingly simplistic. The world is not pink and fluffy, every single person has something dislikeable about them. I suppose I am a realist, a pragmatist and am not looking for escapism. I read novels that stimulate my curiosity with characters that are challenging or mysterious. I may like them or dislike them, but I keep on reading as long as I’m interested in them, to find out what made them as they are and what they will do next. And I trust the author to tell me the story. That means being patient, reading to the end and trying to figure out things for myself rather than expecting everything to be spelled out on the page. Q: Do you ever actively think about creating layers in a novel so that the reader can get more out of a second or third reading? That’s one of my ambitions when I write. I’m interested in the subjects I write about, I research them, read about them, watch documentaries, conduct interviews, go to museums. So I have an iceberg of research but only the tip of it appears in the novel, the rest is below the surface, informing the themes, imagery and characters. It can be tempting to add more onto the page, but my novels aren’t short and I’m wary of crossing the line of ‘too much information’. I know my books will be read on different levels, some reader will skim the surface layer and be happy; others at first reading will dip a little deeper into the structure of personality and story background. I hope a second reading will unveil clues and red herrings planted which perhaps didn’t come to light at first sight, that make the reader think ‘ah, I understand that now’. Q: According to F. Scott Fitzgerald, a novel is never really finished but only abandoned. True? Absolutely. I learned this lesson as a young journalist; having to hand over a story to the sub-editor when I was still polishing it. As an author I rely on my copy editor to take my partly-polished novel and transform it from a duck into a swan. Even then, I can flick through the paperback and find things I want to change. I remember attending a reading by Maggie O’Farrell not long after her first novel, After You’d Gone, was published. She was asked this question and in answer, held up her copy of the hardback. It was well-thumbed with corners of pages turned down or marked by Post-It notes, sections highlighted or underlined, words crossed out. I think every author feels like that. Q: I have described myself as a failed artist rather than a writer. What is your own relationship with art? Do you have a background in art? Failed artist, definitely. I remember as a child going to the village art class a couple of times with my mother, producing a very dodgy landscape in oil paint. I didn’t study art at school and only developed an interest in art history in the last ten to fifteen years. Deciding to make Justine an artist has opened a new world to me. As part of my research for her character, I decided to visit exhibitions to view artists, styles and periods of which I knew nothing. I listened to the audio guides, read books, watched art documentaries and slowly started to appreciate art and understand its many levels. But I am very much self-taught. I do have a set of watercolours which I keep at our house in Spain on the mistaken belief I will have more time there to paint. I don’t. But, one day, I hope I will. Q: When writing about art, do you find yourself drawing parallels between writing as a creative process and the creation of that work of art? There are similarities between all the creative arts. Although I wasn’t artistic as a child, I was musical, singing in choirs and playing many different instruments. In a scene that was cut in the final edit of Connectedness, Justine is interviewed on radio programme ‘Desert Island Discs’. One piece of music she chooses is ‘Bohemian Rhapsody’ by Queen, explaining how it was written in haphazard fashion as the band members jotted down ideas and lyrics on scraps of paper. I remember listening to a programme many years ago, when commuting in my car. Someone was analysing ‘Bohemian Rhapsody’ and its use of tension and respite, how it builds to a climax then drops back, increasing the rhythm and pitch towards the end. This is exactly what happens in a novel. Q: Is there a phrase or quote about writing that you particularly like? Rose Haldane reunites the people lost through adoption. The stories you don’t see on television shows. The difficult cases. The people who cannot be found, who are thought lost forever. Each book in the ‘Identity Detective’ series considers the viewpoint of one person trapped in this horrible dilemma. In the first book of the series, Ignoring Gravity, it is Rose’s experience we follow as an adult discovering she was adopted as a baby. Connectedness is the story of a birth mother and her longing to see her baby again. Sweet Joy, the third novel, will tell the story of a baby abandoned during The Blitz. If there’s anything else you’d like to ask Sandra please leave a comment.